Thanks to Brother Wendell Butte for providing this rare image of a grandson of the “talented, but erratic” Joseph Martin James. Rev. Joseph Martin Shadowen served as pastor of Bethlehem, Mount Lebanon, Pleasant Hill, and Pitman Creek Baptist Churches. He is buried in the cemetery at Bethlehem Baptist Church. He is the son of Sally James (1817-1898) and Samuel Chaudoin Sr. (1813-1893). His twin sister, Martha Ann Shadowen, is the spouse of Rev. William Madison “Matt” Roy, who also served Bethlehem Church. 2 Martha Shadowen 1882 – b: 1882 in Pulaski Co KY d: in Pulaski Co KY when a child. 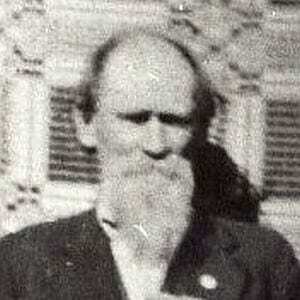 Previous PostJewis H. JamesNext PostWhat would Jesse James’ cousin, Dan James, do about Arizona ?